NEW YORK (AP) — Big Bird has never been so hot. "Saturday Night Live," Jimmy Fallon, Piers Morgan, the "Today" show and "Good Morning America" all asked for appearances from the "Sesame Street" character on Thursday after he was unexpectedly thrust into the presidential campaign by Mitt Romney. Sesame Workshop says the giant yellow Muppet is declining all appearances, but there was this tweet from Big Bird on the Sesame Street account: "My bed time is usually 7:45, but I was really tired yesterday and fell asleep at 7! Did I miss anything last night?" Yes, Bird. 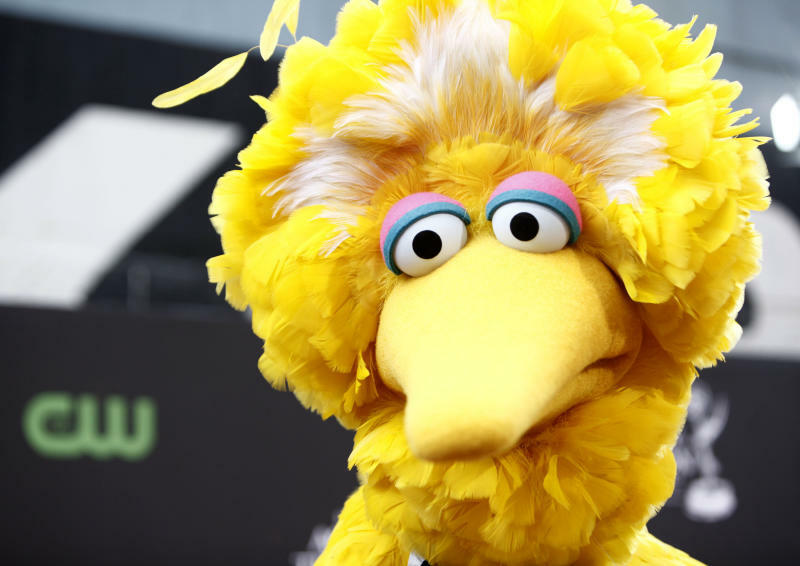 During Wednesday's debate with President Barack Obama, Romney called for cutting federal funding to PBS, despite saying, "I love Big Bird." It renewed a long-running debate over subsidies to public broadcasting. "I'm going to stop the subsidy to PBS," the former Massachusetts governor, a Republican, said during a deficit-cutting discussion. "I'm going to stop other things. I like PBS. I love Big Bird. I actually like you, too, Jim (Lehrer, PBS newsman and debate moderator). But I'm not going to ... keep on spending money on things to borrow money from China to pay for it." Obama brought up his opponent's plans for Big Bird during a campaign stop Thursday in Madison, Wis.
"I just want to make sure I've got this straight: He'll get rid of regulations on Wall Street, but he's going to crack down on 'Sesame Street,'" Obama said of Romney. "Thank goodness somebody's finally cracking down on Big Bird! Who knew that he was responsible for all these deficits! Elmo's got to watch out!" PBS chief Paula Kerger said she "just about fell off the sofa" when the issue suddenly came up during the debate. She said that if the subsidy goes, so will some PBS stations. Federal funding for the Corporation for Public Broadcasting totals $450 million this year, accounting for about 15 percent of the CPB's budget, she said. Federal money supplements the budgets of PBS' 179 stations nationally. For some of the smaller stations in rural areas, this subsidy accounts for more than half of their yearly budget, so many can't operate without it. Considering Romney stressed the importance of education, she said she hopes he realizes the extent of educational programming that PBS offers. Four out of five children under age 5 watch public television, where "Sesame Street" is a long-running hit, she said. "To me, public television is like mom and apple pie," she said. "Maybe it's because I'm just too close to it. Maybe it's because I talk to so many people for whom public television is a lifeline." But public broadcasting funding has been a frequent target of congressional Republicans, who believe PBS and National Public Radio favor liberal points of view. "It is demoralizing to have our work put in the middle of this debate," Kerger said. "We don't belong here." The issue quickly became a hot topic on social media, where Twitter reported a peak of 17,000 tweets per second about Big Bird. The hashtag (hash)SaveBigBird quickly sprouted up. New York Times columnist Nicholas Kristof tweeted: "Hey, I figured out how Romney will balance the budget: sale of TV rights to broadcast the decapitation of Big Bird." For several years, "Sesame Street" has produced videos and other materials for the Pentagon to help children deal with parents' absences during tours of duty as well as other stresses suffered by the children of troops. Asked at a Pentagon briefing whether the Defense Department wants to see its relationship with the program continue, press secretary George Little sidestepped the question. "I will say that we've had a long-lasting and effective partnership with 'Sesame Street' and they have supported military children," Little said. "But I'm not going to get into politics here — I wouldn't want to ruffle any feathers, so to speak." Sesame Workshop, the producers who make "Sesame Street," noted that while it is not part of PBS, it depends on the stations to distribute its work. "Sesame Workshop is a nonpartisan, nonprofit educational organization," said Sherrie Westin, Sesame Workshop spokeswoman. "We do not comment on campaigns, but we're happy we can all agree that everyone likes Big Bird."